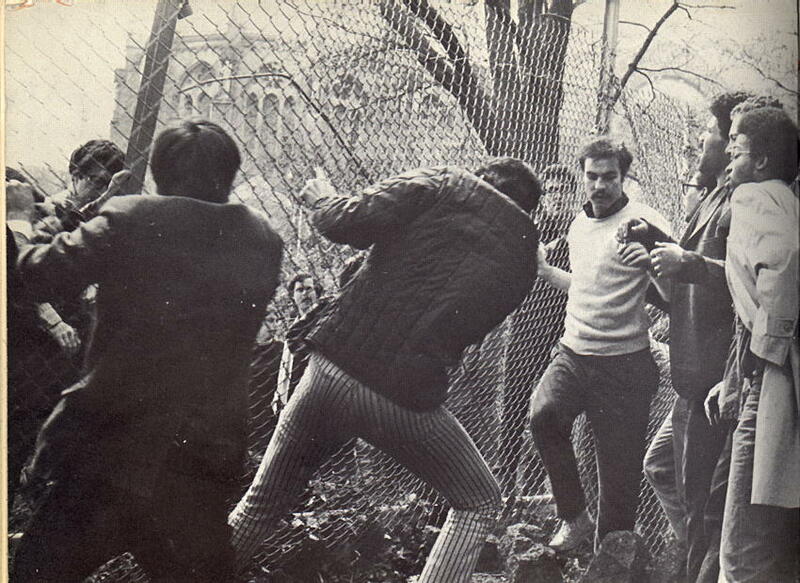 Columbia students and community residents pulling down the fence around the Morningside Park gymnasium construction site, April 23, 1968. The Cathedral of St John the Divine is in the background. Photo: Columbia Daily Spectator , April 24, 1968.